Our donation fund to help less fortunate families was created in 2013, inspired by a local elderly gentleman who had to say goodbye to the treasured dog he had shared with his late wife. When paying the home euthanasia fee, he added an additional $100 to the bill. Thinking it was a mistake, Dr. Lianna pointed this out to him but he assured her it was no mistake, the extra money was to help someone else in the future who might not be able to afford the home service for their pet. Your donation will help dogs like Kira. 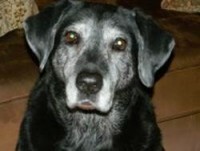 Kira was a black lab owned by a single mom who was struggling financially and had to move back home with her dad. She loved her dog dearly and when Kira was no longer able to walk comfortably she made the difficult decision that it was time to let her go. She wanted to be able to say good-bye to her at home but was unable to afford the veterinary fees. She accepted a donation from our Good bye My Friend Fund and was able to let Kira go peacefully on the front lawn with the sun shining down on her. Kira came to me as an 8 week old puppy, when I went to see the litter there was 9 puppies and they were running around everywhere but this one little black, chubby puppy came out of the room last - she stumbled down the big steps walked over to me and sat down. She looked into my eyes and cocked her head to the side and in that very moment I knew I had been chosen, she filled my heart with love from that very moment and I knew that she was very special. She always nurtured everyone - people and animals alike and never displayed anything but love & kindness to everyone she encountered. Over the past 15 years she had loved me through some very hard times and somehow always made a bad day seem brighter - she was my best friend. If you would like to help a less fortunate family provide a peaceful passing for their pet at home, click the link below to make a donation or contact us to donate by credit card, email money transfer or by cheque made payable to "Goodbye My Friend Fund". Any amount would be greatly appreciated. 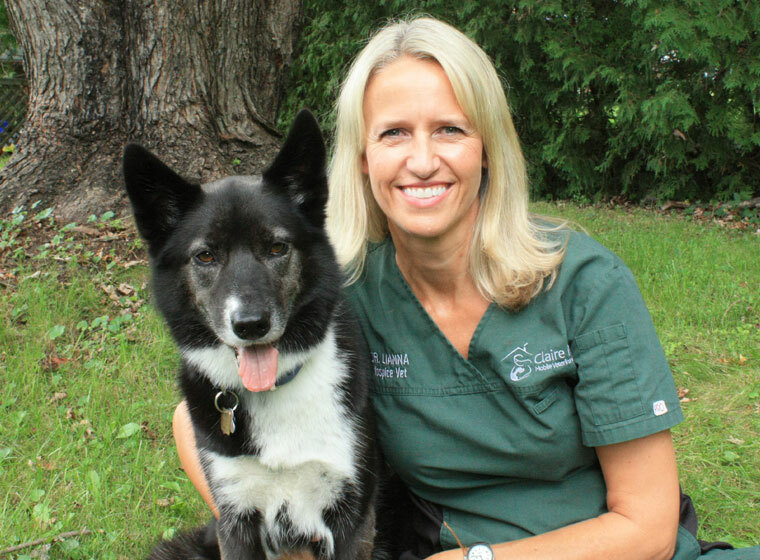 Dr. Lianna Titcombe offers at home hospice care for elderly and terminally ill pets, as well as providing compassionate support for the pets' owners.